Could a Paris agreement on climate change be like the Montreal Protocol on CFCs? By Don Aitkin - posted Friday, 30 October 2015 Sign Up for free e-mail updates! For those who don’t know, the Montreal Protocol was an agreement between nations to limit, and in some cases end, the production of chlorofluorocarbons (CFCs), gases used in hairsprays, insulating foam and refrigerators. You can find all about it in Wikipedia, though my usual caveat about that source applies here too: the article is written from the point of view of someone for whom the whole issue is well and truly settled. 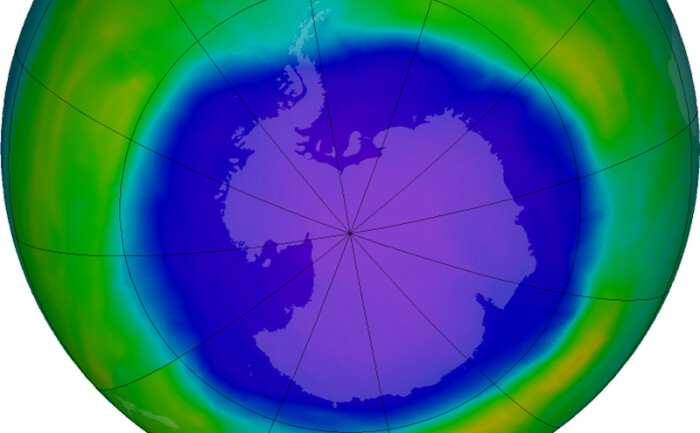 A short summary is that a couple of scientists proposed in the early 1970s that these gases could have an adverse effect on ozone in the atmosphere, and a decade or so later another team of scientists pointed out that there was a ‘hole’ in the ozone over Antarctica. That seemed verification of the original theory, and the first group of scientists got the Nobel Prize. Not only that, because ozone protects plants and animals from ultraviolet-B radiation, which can lead to skin cancer, there was quick agreement that the CFCs should be phased out, and to a large degree they have been. In consequence the Montreal Protocol has been hailed as the best example of international co-operation, and the kind of model that that should be seen as the basis of any agreement on ‘combatting climate change’. Since I have been afflicted with skin cancers of various kinds for the part thirty years, I felt at the time that this was a good thing. I should add that I had a query about the link — a very ordinary query. That was, how did we know that the hole was caused by the CFCs? Or, more precisely, how did we know that the hole was new? No one had looked for a hole before‚ indeed no one had looked very hard at ozone anyway. What if the hole had always been there? How would we know? At the time I was involved in research assessment and funding, and this was the kind of question that is almost basic in considering any request for money. No matter, my interest was purely academic, and no one asked for money for us, for any investigation into CFCs and ozone — at least, not one that involved me as the chairman. The Protocol came up again in the 1990s, and especially in the first decade of the 21st century, as the right way to deal with global warming, or what became called ‘climate change’, when warming seemed to have stalled. George Monbiot of the Guardian, if memory serves, put this forward at around the time of the Copenhagen meeting, and I’ve seen similar references more recently. At first glance, it seems a sensible idea, but closer inspection makes you wonder. First of all, though there was a great fuss about it from manufacturers of the CFCs in question, it appears that the patents (for freon, for example,) had expired, and the new non-ozone-threatening gases were more expensive anyway, which meant that everything would cost more, and manufacturers would in the long run make more money. Since the USA led the charge to abolish the old CFCs, there is a certain congruence in that account of things. Second, the ‘climate change’ issue is much more complex, and of course vastly larger in its reach. Not only that, there are substantial differences in perspective across the world, not only between developing and developed countries, but India and China versus the USA and the EU. And, dare I say it, the science of climate is not at all settled, with carbon dioxide emissions continuing to rise but temperatures falling and rising without any apparent connection with CO2. Politically, it is as though there are two different worlds, one where various elites and the media sympathetic to them continue to expatiate about the danger, the urgent need, the great necessity, and so on, while the mass of citizens, inured to this hyperbole, get on with their lives and basically ignore the fuss. If that were not enough, it now seems that ending the production of those nasty CFCs didn’t actually close the ‘hole’. It was not exactly a hole anyway, but rather a thinning of the ozone layer. An article by sceptic Steve Goreham, which you can read here, uses NASA data to suggest that there is still substantial thinning. The image looks like this. Why? Goreham’s article was picked up by Anthony Watts, and republished on WUWT. Watts added a most intriguing diagram, which follows. ‘Ozone depleting substances’ are the nasty CFCs that the Montreal protocol has apparently got rid of completely. The ‘hole’, however, that is to say, the area of the thin ozone layer, seems to be much as it has been for the pst twenty years or more. Perhaps twenty years is too short a period about which to be decisive, but you might argue that the relationship between the nasty CFCs and the area of thinned ozone does not so far seem to be a very important one. And I have somewhat the same feeling about the relationship of CO2 and temperature.